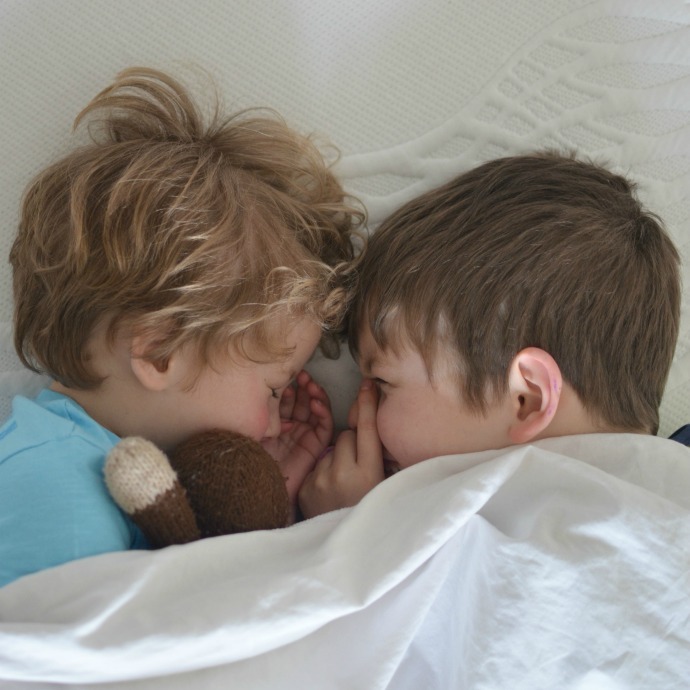 I thought that we had put the bedtime battles behind us when the children started sleeping through the night, but as the boys have got older, there have been new challenges and recently they have been struggling to settle at night. They have chosen to share a room and most of the time it is great as they have their own space away from the little two and they can play their own games up there. At night time it can cause issues though as if one of them isn’t in the mood for sleeping, they keep the other one awake. 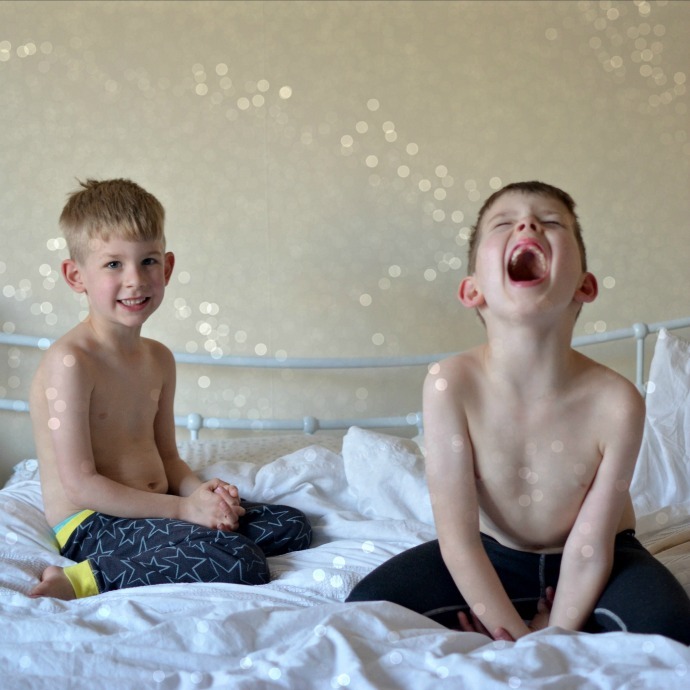 Our bedtime routine has always been simple, with pyjamas, tooth brushing and a story, and then the boys can have a few minutes of quiet reading in their beds before the lights go out. 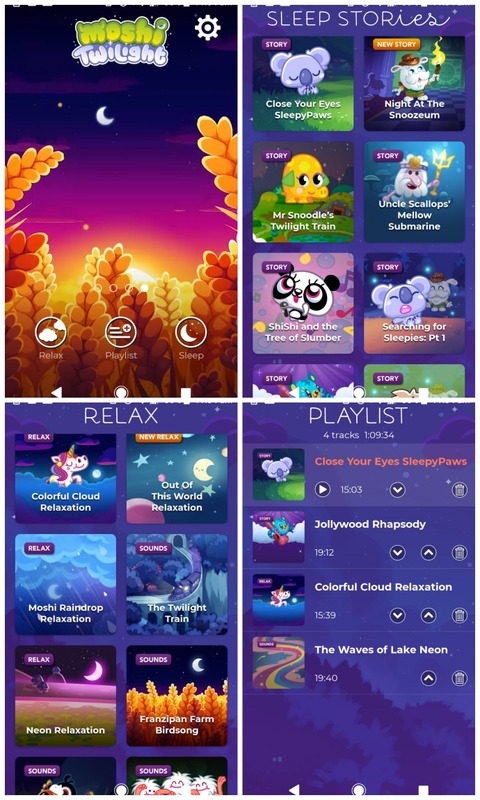 We were asked if we wanted to try out the Moshi Twilight Sleep Stories app and it has made bedtime so much easier! The app was easy and free to download (you can see how here) and there was a choice of a few songs and stories with the ability to unlock them all either for a month or for a year depending on the subscription you choose. It's a mix of story-telling and song thats designed to help your kids drift off at night. The first night I was a little dubious as we have never tried an app like this. Audiobooks had been suggested to us before to help them settle but the ones I tried hadn’t worked. I set up a simple playlist with one story and one song which came to about 30 minutes. I use the app after the usual bedtime routine, they're all tucked up in bed with the lights off, I popped on the tracks with the screen turned off and told the boys I would come back to check on them after a few minutes. I came back into the room after about 12 minutes and there was silence other than the ‘Sleepy Paws’ story that was still playing. I called out their names quietly and there was no answer. It couldn’t have been easier! The second night took a little longer and Archie brought the phone back down to me after the half an hour asking for more sleepy paws. The next night I added another story and another song onto the playlist making it an hour long. After a week of later bedtimes due to the school holidays, we needed to start bringing bedtime back earlier and I knew the boys would resist that. They love listening to the app though and it has really helped them settle at night as it is so calm. This week the sun has been shining and we have been outdoors so much more that they have barely got 5 minutes into the first track before both of them are fast asleep but I am hoping that continuing with it as part of our routine will help them as the evenings get even lighter and they are less convinced it is time for bed! The app is aimed at children four years plus and you don’t need to know anything about the Moshi Monsters characters before hand to enjoy it. All of the songs and stories are calming and sweet and I imagine the app will be great for anxious children to send them to sleep. I am hoping that with a good bedtime routine and well rested children we will be able to enjoy so much fun this summer as they will have more energy for after-school adventures in the sun! Looks like this was a big success, is there anything better than sleeping kids?! I like them best when they are asleep! All we want as parents is for out children to sleep well ...so we can sleep well!! Always intrigued to find new ways in which we can support them to do this!! Definitely need to try this with my little one! This is a great idea - need to try it with my 3 year old who is currently deep in the throes of bedtime battles! The bedtime battles never seem to end do they? this app looks great.